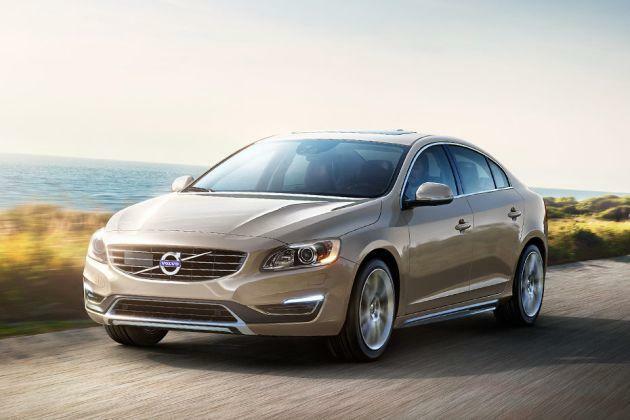 Volvo, the Swedish luxury car manufacturer has rolled out the facelifted version of the Volvo S60 and it is made available in three different trims. The new Volvo S60 D4 KINETIC is the entry level luxury sedan in its model series and it is powered by a 2.0-litre diesel power plant. The company has made few tweaks to this engine in order to improve its power and efficiency. This latest version gets some major updates in terms of features, especially regarding the safety aspects. This particular trim is blessed with an advanced laser beam assisted automatic braking for city safety under 50 Kmph speed level. This system senses any emergency situation beforehand and pre-charges the brakes for enhancing the impact of braking. On the other hand, this particular sedan gets some of the latest features including digital instrument cluster with active TFT crystal display with an option of three graphic themes. Apart from these, new seats, integrated dual exhaust tail pipes, LED daytime running lights, and various others. In terms of cosmetics, this sedan received a slightly pronounced radiator grille along with re-treated headlight cluster that adds to the beauty of its front facade. With best in class body fit and finish, mind blowing safety and security aspects, Volvo S60 is going to lure the luxury car lovers in the Indian automobile market. The facelifted version of Volvo S60 D4 Kinetic trim gets some major updates in terms of its exteriors that catches the eyes in the first glance itself. On its frontage, it received a slightly revamped headlight cluster along with a wider radiator grille that refreshes the front profile. The company has now added the LED Daytime running lights that further enhances the striking looks and its squat presence. The design of the bumper gets a re-treatment which incorporates a sleek designed air dam that adds to the sporty appearance of its frontage. The side profile of this sedan is very sleek and looks planted, whereas its wheel arches have been fitted with 17-inch Pandora style alloy wheels. The door handles and the outside rear view mirrors have been painted in body color. The rear profile of this sedan is extremely stylish where the design of the taillight cluster dominates the entire profile. The boot lid is also very expressive and it is blessed with Volvo badging. The roof line is tapered towards the boot that makes it look extremely stylish. The company rolled out this facelifted version in overall four color shades including Passion Red, Vibrant Copper, Power Blue and Crystal White. Inside the cabin, this Volvo S60 D4 Kinetic trim gets new sporty leather seats that has relaxing hugging side support all the way from the shoulders till the thighs. These new seats keeps the driver firmly in position even when cornering fast. The company has blessed this particular sedan with plush interiors with fabulous fit and finish that will certainly profile a luxurious feel to the passengers inside. As soon as you step inside this vehicle you will find the three spoke steering wheels that are accompanied with paddle shifter. This sedan also blessed with a digital TFT instrument with three mode graphic themes including Performance (Sporty Redish), ECO (Greenish), and Elegance (Amberish). There are multiple number of innovative features incorporated inside this vehicle that makes the drive extremely comfortable and luxurious. The three spoke steering wheel has been blessed with paddle shifters that convert the automatic gearbox into a manual transmission with a benefit of shifting gears with both hands. Coming to the engine technicalities, the all new facelifted Volvo S60 D4 Kinetic entry level trim is blessed with a 2.0-litre diesel engine that can produce a displacement capacity of about 1984cc . This engine has the ability to produce 163bhp of maximum power at 4000rpm, while generating a peak torque of about 400Nm in the range of 1500 to 2500rpm, which is impressive. The company has skillfully coupled this particular engine with an automatic 6-speed transmission gearbox that distributes the power to all the wheels of this vehicle. That company has incorporated a turbocharger to this engine that will further enhance the power and performance of this sedan. On the other hand, the company claims that this sedan can deliver a mileage of about 14.7 Kmpl, which is fairly decent. The all new Volvo S60 D4 Kinetic trim is blessed with a proficient braking system with disc brakes fitted to all the wheels of this sedan. This disc braking mechanism has been further enhanced by emergency brake assist system that will further improve the braking mechanism. On the other hand, the company has incorporated this particular trim with a sophisticated laser assisted braking system that can even apply brakes when needed, while the car commutes under 50 Kmph speed level. On the other hand, this Volvo S60 D4 Kinetic trim has been equipped with a speed sensitive steering system that is highly responsive, which along with the cruise control system will offer full control to the driver over the vehicle. The comforts and conveniences inside this particular trim are simply the best in its segment. The company has blessed this facelifted version with a set of exciting comfort features that takes the level of comforts to a new high. The list of these impressive features inside this sedan includes an electronic climate control system with air quality control , laminated front windscreen, sun roof, leather seats, heated front seats, 6-way adjustable passenger seats, automatically dimmed inner mirror, rear armrest with cup holders and storage, illuminated vanity mirror for passenger and driver, 3-spoke leather wrapped steering wheel incorporated with paddle shifters, sun curtains for rear window, textile floor mats and lots more. The company also offered this particular trim with a high performance audio system incorporated to a 5-inch screen and blessed with AUX-In, USB and a remote control system. Volvo is perhaps the best in terms of designing safety functions to its four wheelers. It has designed an innovative laser assisted automatic braking system that further enhances the braking mechanism of the vehicle in city traffic while commuting under 50 Kmph speed level. Apart from all these, the new Volvo S60 D4 Kinetic trim blessed with air bags, whiplash protection for front seats, intelligent driver information system, parking assist system and many more. Pros : Segment's best safety aspects, striking appearance. Cons : Fuel efficiency can be made better, price tag can be competitive.